Description: ***ALERT: STOLEN ITEM! Please contact us if seen or found! 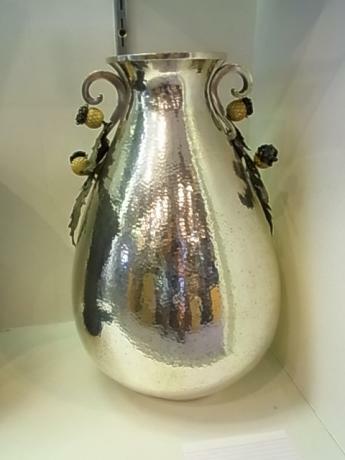 *** Large　Silver Vase hand hammered with thistle form handles of silver and carved material. Marked 800 silver and hallmark for Alessandria, Italy. Size: Height 17" x Diameter 9 1/2"